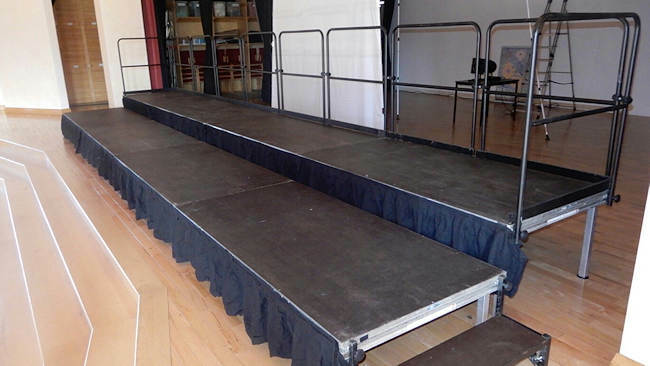 Our staging can be adjusted to any height to ensure everyone is seen and heard. If you take a normal stage and put two rows of singers on it, then the back row won't be seen. The biggest event we've recently had is where a school had hundreds of children in groups on our large outdoor stage, so we extended it. "All the mums and dads could then see their little ones performing and everyone was happy." Also the sound engineers need to be able to see the stage when they're working and so we sort that out as well. They normally don't need too much room as the main equipment they have is on stage. They just need somewhere to work from. It also helps that they are above as occasionally you get a member of the public trying to be 'helpful' by doing the mixing for them and if they're above the ground it stops all this. Believe me it happens. 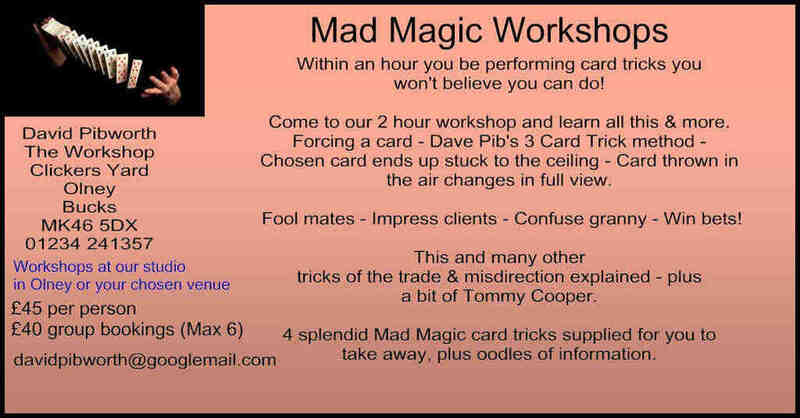 Yes, of course, all this all costs money, but we give the best prices available and our friendly team will sort you out. We will come out and do a survey, make a plan and advise the best way to do any of your staging. 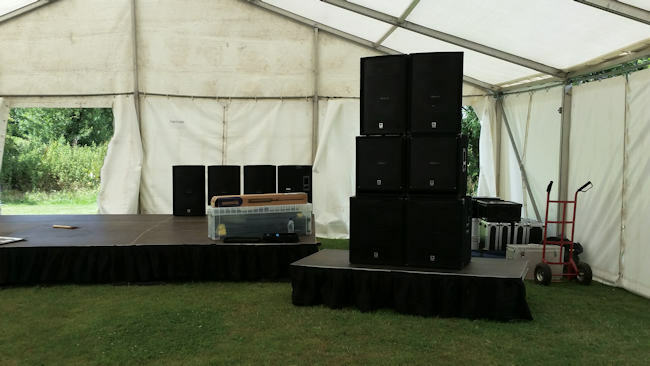 If you need a sound engineer and PA equipment we will give you the contacts of the best sound and lighting people we know and we work it out together. "We'll always make it easy for you and we are fun to be around." 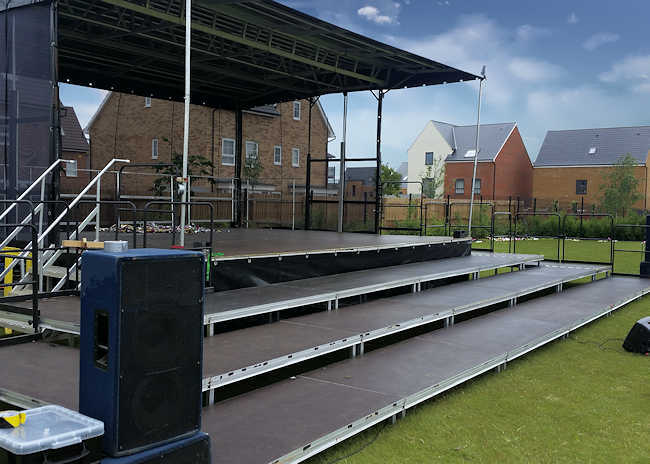 We're first in and last out, and once the staging is set up, it's hardly noticeable, and that's what you want, as you need your performers to be seen and heard, and that's exactly what we help you achieve. 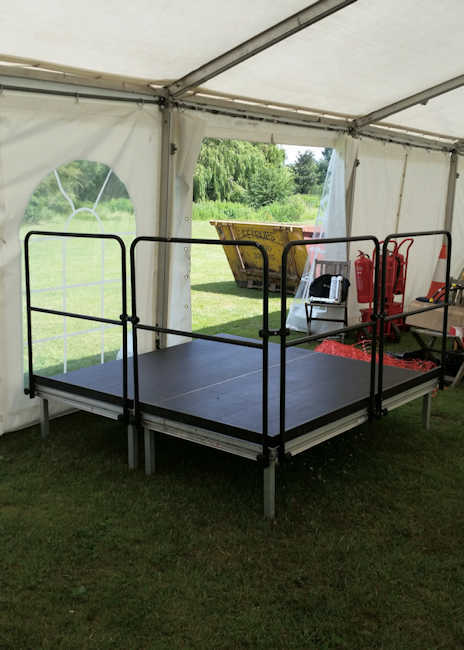 If you'd like to find out more about our staging, call me on 01234 241357 or visit www.stage-hire.org.uk. Celebrities: Are They Really Worth Booking?